There is no doubt that fireplaces produce materials like soot and smoke that can stain the glass doors and brick or stone surfaces in and around your hearth. 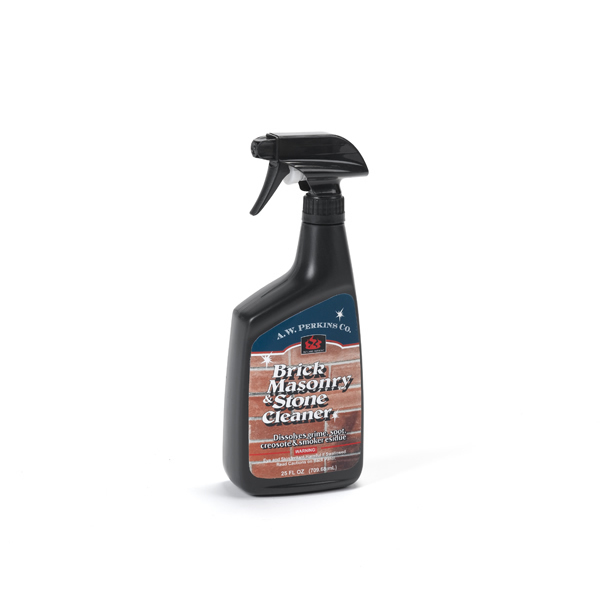 This brick cleaner will remove those stains and comes in an easy to use 1-quart spray bottle. Since the cleaner is non-toxic, you won't have to worry about dangerous fumes while you are using it. You can use this product on all surfaces of your fireplace or stove.